Aug. 31, 2018 — More than 15 Grinnell College class of 1994 alumni spent a weekend in April charting out plans for Reunion 2019. When it came time to choose a class gift, there was little disagreement. Committee members quickly landed on endowing a need-based scholarship for students. The generosity of Grinnell College alumni is why Sullivan agreed to take on the class fund director role and spearhead an ambitious reunion giving goal of $250,000. Sullivan said he would not have been able to attend Grinnell without receiving the Howard R. Bowen Scholarship. 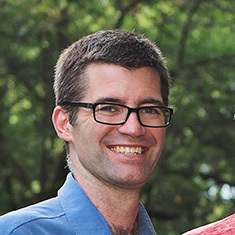 Sullivan majored in physics at Grinnell, went on to earn master and doctorate degrees in engineering from Wisconsin, and later serve as a dielectric lab manager at GE Global Research. 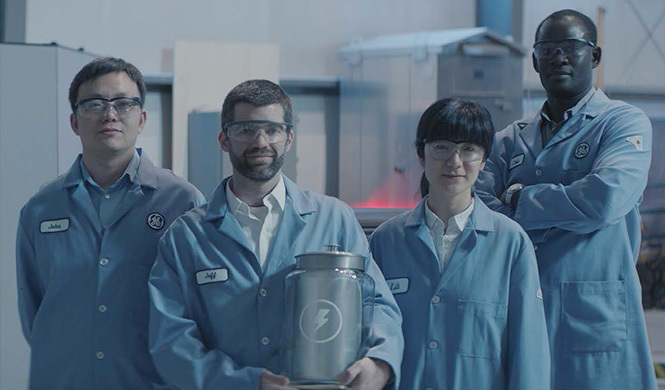 His team at GE was tasked with a catching lightning in a bottle experiment during a video series called Unimpossible Missions. The video shows how lightning was generated, captured in a super capacitor bottle, and used to start a car. Jeff Sullivan '94 and other GE employees as part of the Unimpossible Missions video series. Sullivan said the video, which was shot over a cold weekend in February, involved a lot of standing and reshooting. And while there were a few editing tricks along the way, the energy captured was truly enough to start the car. “Participating in the creation of the video was an interesting experience to see how they pieced the story together to make the whole thing happen,” Sullivan says. In January, Sullivan took a position as senior vice president for operations at Qylur Intelligent Systems. He is in the process of moving his family from New York to the Bay Area of California where Qylur is located. The company makes x-ray baggage scanners for stadiums, amusement parks, and cultural venues. Speaking of priorities, Sullivan keeps a close eye on what Grinnell College is trying to accomplish in student experiences and student outcomes. He likes the strategic tone set forth by College leaders. Class fund directors play a significant role for their classes as peer-to-peer development officers helping the College achieve its strategic goals by generating financial support. Sullivan said what he enjoys most about it is catching up with people he hasn’t heard from in a decade or two. As part of his responsibilities, he writes thank you notes to classmates who have made a gift. In turn, some classmates reply back to Sullivan. He encourages everyone in the class of 1994 to come back for Reunion 2019 on May 30-June 2 to see the College, partake in the festivities, and reconnect with classmates. The class’ Reunion planning committee is leading the fundraising charge having pledged almost half of the $250,000 goal already. The rest will be raised from Reunion attendees and other classmates. Sullivan notes that pledges can be made over a five-year period, with the entire amount counting toward the reunion giving total. Class of 1994 alumni can visit the 25th Reunion giving page for more information and to make a gift. To learn more about becoming a class fund director, contact Mary Zug, assistant director of annual giving, at zugmary1@grinnell.edu or 641-269-4554.